Surgery is never something people look forward to. However, those who live in the Hartford or Southington areas of Connecticut can at least rest assured that, if they choose to have plastic surgery, they have a fully qualified, highly respected professional to help them, being Michael Giuffrida. He has great empathy for the fact that people experience anxiety before surgery and also understands the potential negative impact this anxiety can have on the outcome of a surgery. This is why he has made it his mission to help people prepare themselves properly, thereby making it an as pleasant experience as possible. Giuffrida feels people should see their plastic surgery as an adventure. In most cases, these procedures are elective and, in all cases, they are life changing in a positive manner. An adventure is about going through some trials and tense moments before eventually arriving at a positive outcome, and that is just like plastic surgery. The start of the adventure has to be finding the right surgeon. They must have the right skills, knowledge, experience, licenses, registrations, and insurance to perform the surgery. Not just that, you also have to feel as if they will be your partner in the experience. Hence, they should be happy to answer any questions you may have, be excellent communicators, and be respectful of who you are. While they are the ones performing the surgery, you are the one providing them with the instruction to do so, so you have equally important roles. According to Giuffrida, if you are interested in plastic surgery, you should start by writing down a list with all the questions you may have about the specific procedure you are considering and plastic surgery in general. It is a known fact that knowledge is the key to reducing anxiety, which is why medical professionals performing any kind of surgery, elective or not, now educate their patients on what to expect. Once you have found the answers to your questions and you have found a surgeon you can trust, it will be time to set the date and time for the procedure itself. It is very important that you achieve a calm and relaxed state of mind by that point. The more relaxed you are, the stronger your immune system will be, and the less likely it is that you will suffer from any kind of complications. Being positive and optimistic of mind greatly increases the chances of having a positive outcome and a short recovery time. A few other important tips are to not travel for long distances in the days leading up to your surgery. You may also want to consider supplementing with certain vitamins and minerals, although you should discuss this with your physician first. Herbal preparations and over the counter medications can have a significant impact on the effectiveness of pharmaceutical medications so you need to be sure that you are actually helping yourself. Do also stop smoking before the procedure if you can. When it comes to beauty, there are a few styles that will simply never go out of fashion. These timeless looks will allow you to stay beautiful, looking chic and feeling confident, no matter where you are or what you’re doing. While the 80’s shell suits and blue eyeshadow look of the 90’s will probably never venture into the beauty guide ever again (we hope), there are a number of timeless beauty trends that you should remember. 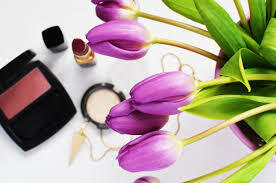 Here, we’re taking a look at some of the most timeless makeup and beauty trends for you to consider. The beautiful cat-eye is a look that you can pull off no matter what you’re doing. Whether you’re on a night out and you want a dramatic look of heavy eyeliner and smoky eyes, or you want a day-to-day look to freshen up your face, the cat-eye should never be overlooked. An expertly flicked wing in the corner of your eye lid can really help to attract attention to your eyes and make you seem more awake too. There are a number of products on the market that can provide you with the look that you are looking for, and if you’re looking for something a little more outrageous, you can choose a colour or glitter style eyeliner to really change up your look! Plastic surgery is almost certain to never go out of style, and with breast augmentation having been the most popular cosmetic procedure for a number of years, it is a choice for you to consider if you are unhappy with the size of your breasts. However, you don’t always have to go for such an extreme plastic surgery option, as there are a number of minimally-invasive procedures that you can choose too, to help you feel more confident in your own skin. This timeless classic really does have the power to enhance your facial features, and you can dress it up or dress it down. No matter how you decide to wear it, you’re certain to attract a lot of attention as it highlights all of the right areas of your face. The best part about red lipstick is that you can get in a shade that suits absolutely any skin tone, no matter how pale or tanned you are. Red lipstick is one of the most versatile colours out there, and it is a timeless staple for your make-up kit. Sleek hair waves are an extremely important trend to make sure your hair looks gorgeous. Another option for you to dress up or dress down, soft hair waves really are a great option if you’re looking for a versatile look. You can leave your hair unwashed, style with oil, curlers, straighteners, however you wish to do it! All you need is a little bit of hairspray and your soft hair waves are certain to remain in style all year round. No matter the era, you can be sure that soft hair waves will stay in fashion at all times. 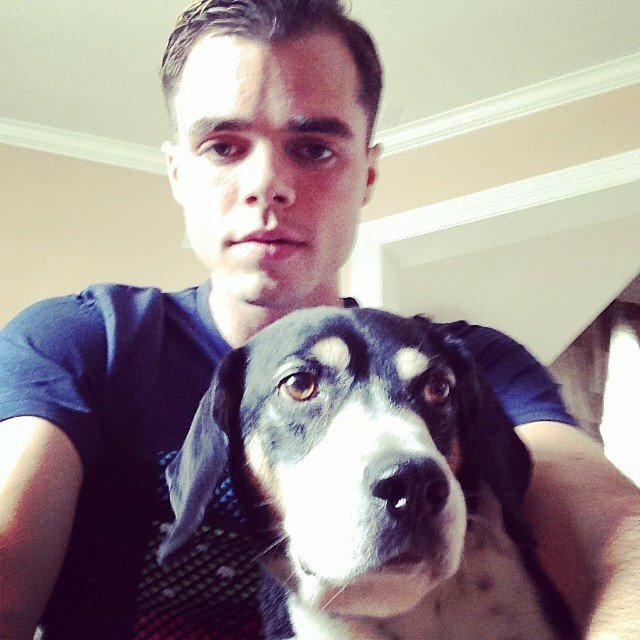 Modern Family actor Reid Ewing, who plays Dylan in the hit sitcom, has revealed his struggle with body dysmorphia. In a letter published by Huffington Post, Reid Ewing describes his mental torment, explaining how he felt so ugly and he got surgery after surgery. Reid Ewing, 27, went under the knife in 2008 when he was 19 years old. He now regrets it. According to experts, body dysmorphia is an anxiety disorder that causes a person to have a distorted view of how they look and to spend a lot of time worrying about their appearance. For example, they may be convinced that a barely visible scar is a major flaw that everyone is staring at, or that their nose looks abnormal. Having body dysmorphia does not mean the person is vain or self-obsessed. “I genuinely believed if I had one procedure I would suddenly look like Brad Pitt,” Reid Ewing explains. Reid Ewing remembers how he woke up screaming from pain, with tears down his face. He describes his face, after all the swelling went down, as “horrendous”. Reid Ewing asked for more surgery because he was unhappy with the change but the doctor said he had have to wait for six months. For the next couple of years Reid Ewing continued to have more cosmetic surgery, including chin implants but they would cause new “problems” he felt needed fixing. Reid Ewing was filming Modern Family while this was happening. In a recent interview, Paris Hilton has denied having any plastic surgery. The 34-year-old socialite said that she is 100 percent au naturale. Paris Hilton told New You magazine: “I have never done anything in my life, not even botox. Paris Hilton is running her line of 17 products and working as a DJ. 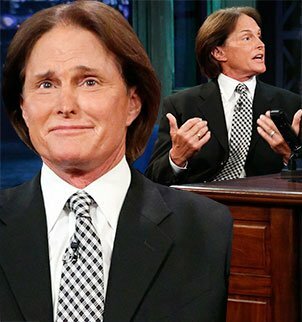 Bruce Jenner, who is the midst of a gender transformation, reportedly underwent a nose job a few weeks ago, TMZ has reported. The 65-year-old former Olympian allegedly opted to smooth out his beak in effort to “soften his features” and make it “look more feminine,” the website noted. 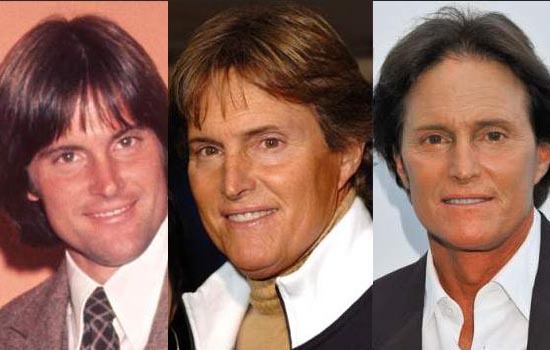 Bruce Jenner’s reported new procedure follows his choice to go under the knife last year to reduce his Adam’s Apple. While Bruce Jenner has not yet spoken out on his new lifestyle, the topic will reportedly be addressed by him on this season of Keeping Up With the Kardashians, which premiered over the weekend. The revelation was made to his daughters in front of the cameras and will air during episode 13 of the new season, a source told Us Weekly earlier this month. Renee Zellweger unrecognizable: Did she get plastic surgery? Renee Zellweger looked different as she attended Elle‘s Women in Hollywood Awards in Beverly Hills on October 20. Renee Zellweger last appeared in 2010’s My Own Love Song. Renee Zellweger, who next stars in The Whole Truth, doesn’t understand the hubbub. “My friends say that I look peaceful. I am healthy,” she said. “I did work that allows for being still, making a home, loving someone, learning new things, growing as a creative person and finally growing into myself,” said Renee Zellweger, who’s still dating Doyle Bramhall II, 45. “People don’t know me in my 40s,” added Renee Zellweger, who famously gained weight for her roles in 2001’s Bridget Jones’s Diary and 2004’s Bridget Jones: The Edge of Reason. Renee Zellweger tends to avoid the limelight, though she agreed to attend the Elle Women in Hollywood Awards to honor her friend and co-star Gugu Mbatha-Raw. Keeping Up With the Kardashians star Kylie Jenner took to Twitter to deny recent rumors that she had a nose job. Two months ago, Kylie Jenner sparked plastic surgery rumors, and fans of Keeping Up With the Kardashians reality show speculated that she got a nose job after her nose appeared thinner than usual in photos that she posted on Instagram. In addition to a nose job, reports also claimed Kylie Jenner had gotten botox injections, a cosmetic procedure her older sister Kim Kardashian has admitted to in the past. 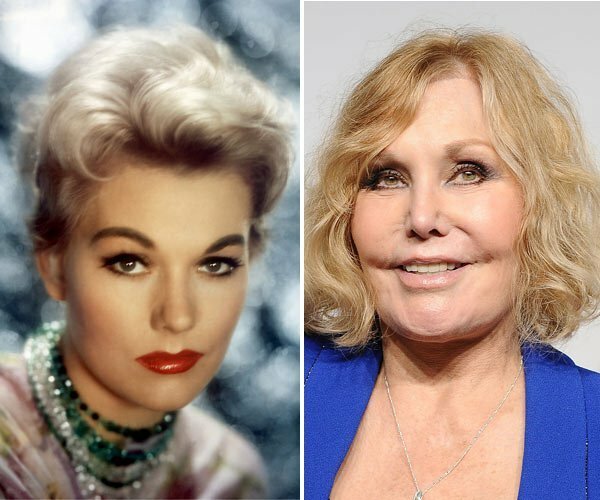 Vertigo actress Kim Novak says that cruel jabs about how she looked during this year’s Oscar ceremony amounted to bullying that left her crushed at first, but then determined to speak out in protest. Kim Novak, 81, has called the treatment she received following her Oscars appearance “bullying”. Following her presenting stint at the Academy Awards, Kim Novak was subjected to jibes about her looks, including a tweet from Donald Trump. “I will no longer hold myself back from speaking out against bullies. We can’t let people get away with affecting our lives,” the actress wrote in an open letter. She admitted she had “fat injections” in her face. “In my opinion, a person has a right to look as good as they can, and I feel better when I look better,” Kim Novak wrote in a Facebook post. Kim Novak told the Associated Press that she did not leave her house for days after the ceremony, and the criticism she received “really did throw me into a tailspin and it hit me hard”. She was also critical of the comments made about actress Liza Minnelli during the ceremony, when host Ellen DeGeneres jokingly mistook her for a male impersonator. Kim Novak blamed her halting speech during the ceremony on taking medication to “relax”, which she regretted. She said she had walked away from the Hollywood industry many years ago because of the immense pressure it had placed on her, but felt ready to return to the spotlight. “When I was honored at the Cannes Film Festival last year, I received an overwhelming standing ovation,” she wrote. Kim Novak said she felt the time was right to “address the elephant in the room” publically for the first time after appearing at a film festival and speaking about it openly. “I realized that I had to stand up not only for myself but for other people that don’t have the courage to do so,” she said. Kim Novak presented the award for best animated feature at the Oscars 2014 on March 3. Julie Chen has denied she had a nose job after admitting that she had eye surgery at 25. Julie Chen, 43, who revealed last week that she was once told she would never be an anchor because she is Chinese, told The Talk yesterday that she has not had any other cosmetic surgery. “For the record, I have never had a nose job,” Julie Chen said. Julie Chen says that the difference in the appearance of her nose in her “after” photo was thanks to her make-up artist’s contouring skills. She demonstrated this with side-by-side photos of herself before her eye surgery and herself now before make-up. She also shared a 20-second time-lapse video of her hair and make-up process, including her make-up artist’s expert contouring. That is not to say that she didn’t consider a rhinoplasty though. Julie Chen says she decided against it, however, after her grandmother told her that the shape of her nose is considered a “good fortune nose” in Chinese culture – and they both shared the same feature. Julie Chen also insisted on Monday’s edition of the show that her intention with the eye procedure was not to make herself look “less Asian”, rather that she wanted her eyes to look “more open”. Referring to “haters” who shared “hurtful” responses to her story, Julie Chen said: “The hateful comments that I read where people were judging me were people within my own community. “It was comments like, <<Way to give in to the Western standards of beauty>>. [and] <<You’re denying your heritage. You’re trying to look less Asian>>. “Guess what? I don’t look less Chinese! I’m not fooling anybody here. That’s number one. “Number two: half of us Asians are born with the double-eyelid. Julie Chen added in an interview with People magazine: “The goal was to simply have bigger eyes so the camera didn’t make me look sleepy, bored, angry or disinterested in my interviews. Julie Chen’s The Talk co-star Sharon Osbourne says the furor surrounding the eye surgery compares to her own rhinoplasty. Sharon Osbourne said on Monday’s show: “I got rid of my Jew-bump on my nose and I still tell people I’m half a Jew. I just didn’t want it! In the last weeks John Kerry’s eyes seemed less droopy than usual and his entire face seemed somehow wider. 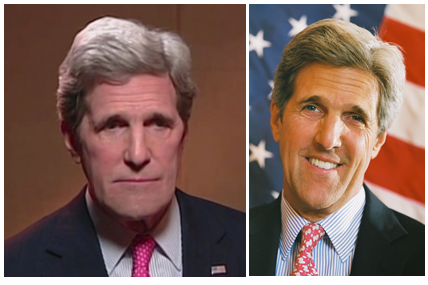 Why did Secretary of State John Kerry look so different? His personal spokesman Glen Johnson explained that John Kerry has been working non-stop with no vacation – and barely has had time to squeeze in a simple haircut. “It’s looks to me that he has limited movement on the left side of his face,” said cosmetic dermatologist Tina Alster. “He doesn’t have any movement in his face at all,” said plastic surgeon Barry Cohen. It could also be one of many other possibilities. Lack of sleep – no surprise, given the last couple of months with his wife’s illness and the Syrian crisis. Or something as simple as allergies, which could cause his eyes and face to puff up. 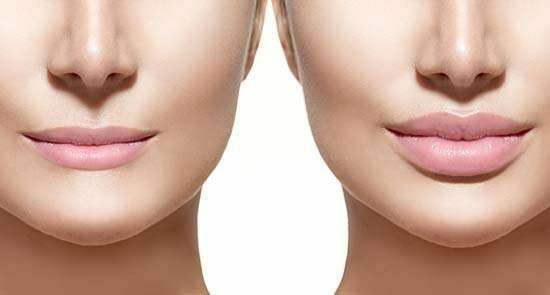 It could be a minor cosmetic procedure like Botox or another injectable, or Bell’s palsy, a common virus which affects facial nerves and can mimic a minor stroke or bad Botox. Or simply stress. “Stress can always make you look not like yourself,” said Tina Alster. John Kerry, 69, is no stranger to speculation about his classic patrician face. In the 1970’s, he had an operation to correct a malocclusion – a problem with his bite that caused clicking in his jaw. His smooth, unwrinkled appearance during the 2004 presidential race caused enough of a stir that his campaign was forced to deny Botox rumors directly. In January of 2012, John Kerry showed up at the White House celebration for the Boston Bruins sporting two black eyes. He denied any plastic surgery. Just the result of a nasty spill while playing hockey with family and friends over the New Year’s break, he said. But the fact that the chatter arose again this week about whether his appearance was the result of exhaustion or some cosmetic snafu annoyed those close to him. “Not only is it a little sad that this constitutes news by anyone’s definition in Washington when we’re debating the use of force in Syria, but the answer is simple: No, end of story. That’s not a denial, that’s a fact,” Glen Johnson said. Controversial Lady Gaga has sparked speculation she has undergone a nose job, after it appeared more streamlined at a recent event. Recently Lady Gaga’s nose appeared to be slimmer and smaller. 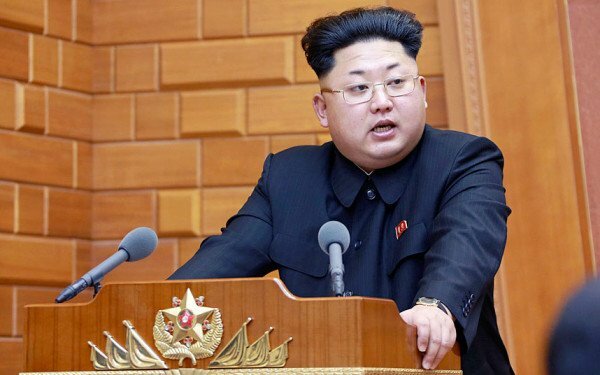 A spokesperson for the singer refused to comment on the claims. Lady Gaga has spoken out about her looks and in a past interview claimed she would never go under the knife. While Lady Gaga’s looks might be causing controversy, her absence from social networking sites has also raised eyebrows. The singer, who has over 39million followers on Twitter, recently announced she was leaving the site – albeit for a temporary period. It’s thought Lady Gaga’s departure from Twitter is to coincide with the promotional drive for her new album ARTPOP. Scott Thorson revealed his life as the toyboy lover of flamboyant pianist Liberace, describing it as a whirlwind of extravagance and excess. Their outrageous lifestyle, captured in new film Behind The Candelabra, makes the latest breed of bling-loving celebrities look tasteful and understated. But after five dazzling, rhinestone-encrusted years together, Scott Thorson claimed he was dumped like “a piece of trash”. Scott Thorson lost it all and began a downward spiral into d**gs, crime and the odd spell behind bars. The tattooed 54-year-old, who is battling colon cancer, was in jail in Reno, Nevada, for burglary when the acclaimed film – based on his book of the same name – was shown on US TV last month. Director Steven Soderbergh revealed that the movie was rejected as “too gay” by every major American studio, before being snapped up by cable channel HBO – which is why it went straight to TV in the US and did not get a cinema release there. Scott Thorson was just 17 when he met 58-year-old Liberace backstage after one of his Las Vegas shows in 1977. He soon moved in with the musician in his lavish, custom-built Las Vegas palace. On the bedroom ceiling was a reproduction of the fresco in Rome’s Sistine Chapel – but the cherubs all had Liberace’s face. At the peak of his powers, Liberace was the world’s best-paid entertainer and owned 39 pianos, 32 cars and 26 dogs. Scott Thorson says: “He built a 70,000 sq ft palace in Las Vegas for me, filled with the world’s most expensive treasure – $25million worth of antiques. “A well-known artist spent a year painting the Sistine Chapel fresco on the ceiling. “Even the Queen and the Queen Mother were big fans of his. Scott Thorson was even given a minor role in TV’s The Liberace Show, driving the pianist on stage in a jewel-encrusted Rolls-Royce while wearing a white chauffeur’s outfit. His relationship with Liberace was bizarre to say the least. The world-famous showman got a plastic surgeon to make Scott Thorson look more like his son, and put him on a cocktail of diet pills. Scott Thorson reveals: “He had to throw the Press off, so he <<adopted>> me, changed my face so I looked more like him. “He didn’t want people to realize I was his lover – he wanted them to think I was his son. “I was given cheek implants and a new chin so I would resemble him. “He took me to this plastic surgeon and he wanted me to lose weight. The doctor put me on the Hollywood diet. It contained pharmaceutical c***ine and Demerol to bring me down. Liberace agreed to all this. “Then, when I became addicted and he was worried I was out of control and would tarnish his image, he threw me out like I was a piece of trash. “In the movie it says he offered me rehab, but he didn’t. In 1982 Scott Thorson took Liberace to court in a bitter “palimony” suit. Later he settled for $93,000, some jewellery, custody of two dogs and a gold-plated Rolls-Royce he had been given as a 21st birthday gift. But the split plunged him from the dizzy showbiz heights to the depths of despair. Scott Thorson, who survived being shot five times during a robbery in Jacksonville, Florida, in 1991, even accuses the team behind the film – including its stars – of neglecting his cries for help during his most recent spell behind bars. Instead Dennis Hof, who owns the infamous Bunny Ranch br***el, last week posted bail for Scott Thorson. Scott Thorson says: “Hollywood turned its back on me. Matt Damon or Michael Douglas would not bail me out, even though I offered to talk to them about the film. Biopic Behind the Candelabra was a big hit when it premiered at the Cannes Film Festival. It pulled in 2.4million viewers when it aired in the US on HBO – the largest audience for an original movie on the channel in almost a decade. It opens in cinemas across Europe today. Scott Thorson says: “It has been a big success, all these European companies have picked it up. So for the filmmakers to say they haven’t made a dime would be a big mistake – especially with my mouth. “I went after Liberace, so I’m not scared. “I was whisked out of jail when Dennis Hof paid my bail. He turned up with five Bunny Girls to pick me up in this big limousine. “The first night we went up to Dennis’s private residence in the ranch and I watched the film for the first time. I was blown away. The film ends when the pair are reunited on Liberace’s deathbed just before he passed away from pneumonia caused by AIDS in 1987. Scott Thorson’s life has had some twists and turns that are not in the film. For starters, he claims he had a romance with Michael Jackson. He said: “Liberace introduced me and Michael in the late 1970s. It was right around the time Thriller was coming out and Michael and I became lovers. “Our relationship went on for six or seven years. Michael was very generous too. He treated me well. Also in his eventful life, Scott Thorson was put in witness protection after testifying against his d**g dealer Eddie Nash in 1981, changing his name to Jesse Marlow. Life for Scott Thorson at the moment, at the Bunny Ranch, is the most exotic it has been for years. He said: “There are 22 acres with stables, a gymnasium, a personal trainer, Jacuzzi, swimming pool and lots of beautiful people. “They have built a great team around me and I am drug free for the first time in many years. It’s been about 110 days. “There are so many beautiful women here. I’m having lots of Bunny Ranch therapy. “These girls are so gorgeous I could end up turning straight. “I haven’t lived the dream like this since I lived with Liberace. Scott Thorson, who was Liberace’s one time toy-boy companion, claims he had an even more famous lover, in the shape of late superstar Michael Jackson. Scott Thorson – whose memoir inspired HBO’s Behind the Candelabra starring Michael Douglas and Matt Damon – now alleges he had a six to seven years relationship with Michael Jackson. Liberace’s 54-year-old former partner claims Michael Jackson and the piano genius used to bond at his Palm Springs compound as they both recovered from plastic surgery. “Liberace introduced me and Michael in the late 1970’s,” Scott Thorson told The Sun. 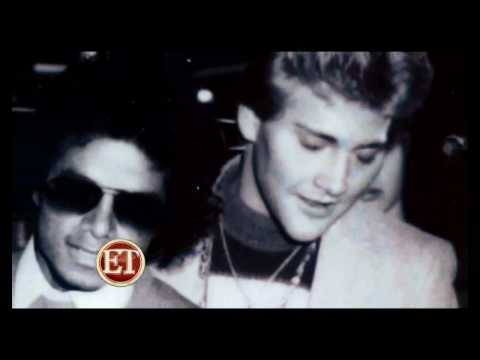 Scott Thorson previously talked about his relationship with Michael Jackson after he gave an interview to The National Enquirer back in 2004 claiming their first s**ual encounter took place at the home of late female impersonator Danny La Rue. “I was standing only a few feet away from Michael when he motioned with his hand to come over to him and join him on the bed,” Scott Thorson revealed. 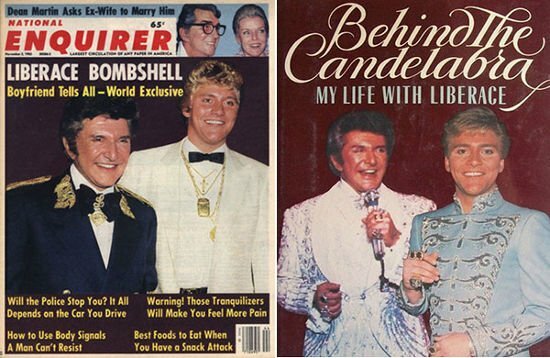 Behind The Candelabra tells the story of the bizarre love affair between Scott Thorson, then 17, when he met Liberace, who was 57 at the time. Liberace lavished his much younger lover with gifts but it came at a price as he demanded that he get plastic surgery so that he could look more like him. After their break-up, Scott Thorson launched an unsuccessful $113 million lawsuit against Liberace who died of suspected AIDS in 1986. Ironically, Scott Thorson has only just seen HBO’s mini-film about their relationship after he was jailed in Reno while awaiting sentencing for burglary charges. Scott Thorson – who is currently living at The Bunny Ranch Br***el after the owner bailed him out – liked the way that Matt Damon portrayed him. “Matt Damon did a great job playing me and he did a great job in bed with Michael Douglas too,” he revealed. But he’s angry that he did not make more money out of the project and that the two stars did not come and bail him out recently. “Hollywood turned its back on me. Matt Damon or Michael Douglas would not bail me out, even though I offered to talk to them about the film,” Scott Thorson complained. Scott Thorson moved to Liberace’s Las Vegas mansion in 1977, when he was a teenage hunk in the foster care system, learning that the jewel-smitten showman could love just as extravagantly as he decorated. Touring the premises before their relationship began, Liberace pointed out some decorative highlights, which included 17 pianos, a casino, a quarry’s worth of marble and a canopied bed with an ermine spread. On the ceiling was a reproduction of the Sistine Chapel with Liberace’s face painted among the cherubs. When Liberace and Scott Thorson became a couple, the showman, who was 40 years older, was just as excessive. “We were at a hotel in Florida, and Liberace had the manager give us another suite, with windows that faced the beach,” said Scott Thorson, now 54. Liberace even wanted Scott Thorson nearby when he worked. So for years, Scott Thorson would don a chauffeur’s costume covered in rhinestones and drive “Mr. Showmanship” on stage in a bejewelled Rolls-Royce. Scott Thorson would stop the car, then open the door for Liberace, who would emerge in a fur coat with a 16ft train. This routine, which ran for years at the Las Vegas Hilton, is recreated in a forthcoming movie, Behind the Candelabra, which is based on Scott Thorson’s autobiography of the same name and stars Matt Damon as Thorson and Michael Douglas as Liberace. Behind the Candelabra debuted this week in the US on HBO and opens in cinemas in the UK on June 7. One person who might miss the movie’s debut is Scott Thorson. He is an inmate at the Washoe county jail in Reno, Nevada, and while the place has its share of amenities – including television – HBO isn’t one of them. Scott Thorson has been held there since February, when he was charged with burglary and identity theft, after buying about $1,300 worth of computer and mobile-phone merchandise, using a credit card and license that weren’t his. He was arrested at the Ponderosa hotel, where he and a man he had just met rented a room for $33.90 a night. On a recent Friday morning at the jail, Scott Thorson was sitting in a small room of white cinder blocks, empty but for a sink and a wall-mounted dispenser of disinfectants. Two officers hovered. Not for the first time in his troubled life, he vowed to clean up. “This experience has scared me straight,” he said, in a slightly nasal tone that sounds vaguely like Liberace. It’s hard to connect this tired and anxious man in a blue prison shirt to the beefcake grinning in photographs in the late 70s. Time, an on-off m**h addiction, several stints in prison and what he describes as stage 3 colon cancer have taken their toll. Another reason he looks different: the chin implant is gone. Scott Thorson had it removed in an attempt to reverse one of the creepier episodes in the history of plastic surgery. Early in their relationship, Liberace plucked an oil painting of himself from a room in his Las Vegas mansion and asked a visiting doctor to reshape Scott Thorson’s face to look like Liberace’s as a young man. Liberace wanted a toy boy and a son. With s** and fatherhood disturbingly entwined, Scott Thorson wound up with a new chin, a nose job and enhanced cheekbones. “I was 17 years old,” he said, explaining why he went along with a plan that sounds so lunatic. The two went on shopping sprees, travelled first-class and spent a lot of quality time with Liberace’s shar-peis. Scott Thorson was showered with gifts, including mink coats, an assortment of baubles and a Chevrolet Camaro. They entertained celebrities such as Debbie Reynolds and Michael Jackson. However, it all ended abruptly in 1982. That year, Liberace had members of his retinue forcibly eject Scott Thorson from his penthouse in Los Angeles. It was a break-up caused, in part, by Scott Thorson’s d**g habit, which he says he developed trying to slim down, at Liberace’s urging, on what was called the “Hollywood diet”, a cocktail of doctor-prescribed drugs that included pharmaceutical co***ne. Scott Thorson later sued for $113 million in palimony, ultimately losing a highly public battle fought both in court and in the tabloids. He settled in 1986 for $95,000, according to reports at the time. There was a deathbed reconciliation before Liberace died of a disease caused by AIDS in 1987. And that is where Behind the Candelabra ends. But Scott Thorson’s life went on, and as he explained in a series of interviews, both in person and via a jail-monitored version of Skype, many of the events that followed are as strange as the ones that came before. The trick is separating the strange from the unbelievable. “His approach to communicating with people is always to play it in a manner that reflects best on him,” said Oliver Mading, the man Scott Thorson calls his adoptive father as well as his manager. One evening recently, Oliver Mading was sitting in the living room of his home a few miles from Reno’s downtown. Sitting nearby was his stepson, Tony Pelicone, who met Scott Thorson through a mutual friend a decade ago in Palm Springs, California. At best, these men sounded deeply ambivalent about being enmeshed in Scott Thorson’s life. “He’s not a bad person,” said Tony Pelicone, who has a swirl of brown-blond hair and a cigarette habit. “Then he gives you that smile,” said Tony Pelicone, interrupting. The two admit that much of what they know about Scott Thorson’s biography they learned from Thorson and that, at the very least, he has an aversion to telling his life story as a coherent, easy-to-follow chronology. During interviews at the Washoe county jail, Scott Thorson was often evasive and moody, deflecting questions about his past to rage against the people who have declined to put up the $15,000 in bail he says he needs to get out of jail. “All these people are getting rich from my story,” he fumed. Earlier this month, Scott Thorson pleaded guilty and asked to enter a rehabilitation programme. He could face as little as probation with a suspended prison sentence to two to 30 years and combined fines of up to $110,000. What’s indisputable is that Scott Thorson is no longer named Scott Thorson. He is now known as Jess Marlow, a change he says occurred when he entered the federal witness protection program as the star witness in the 1989 prosecution of an infamous Los Angeles character named Eddie Nash. Eddie Nash purportedly learned who had committed the robbery after his underlings beat up p**n star John Holmes, an acquaintance of Nash’s who later admitted to helping the robbers enter Nash’s home. A fictionalized version of these events turns up in Boogie Nights, with an Eddie Nash-inspired figure played by a Speedo- and robe-wearing Alfred Molina. Scott Thorson says that Eddie Nash became a drug source for him in the early 80s and that he later became a partner in Nash’s club business. At some point, the two fell out and, by 1988, Scott Thorson was reportedly in a Los Angeles jail for an assortment of charges. There, he says, he was offered leniency by the district attorney’s office in exchange for testifying that he happened to be at Eddie Nash’s home when thugs pummelled John Holmes – which, if true, would make Scott Thorson a kind of Zelig of the Awful. Eleven members of the jury voted to convict. One held out. Eddie Nash later admitted to bribing that lone juror, and in 2001, he struck a plea bargain in which he was sentenced to 37 months in prison for racketeering. Now, in his early 80s, Eddie Nash is a free man. And he would like to make it clear that he and Scott Thorson were never partners. “No, no, he worked for me,” Eddie Nash said. Scott Thorson claims that after the trial, marshals in the federal witness protection programme moved him to Florida and gave him a new name. “They had to keep me safe because there was a contract placed on my life by Eddie Nash,” he said during one interview. “It started with the marshals taking me to different locations around the country for seven to 10 days, to make sure no one was following,” he said. It’s an intriguing narrative plot point – man forced to get a new face is later forced to take on a new identity. But the story sounds highly improbable to Bill Keefer, a former federal marshal in the witness protection programme. He has doubts because of where Scott Thorson eventually landed: at a Christian-based homeless shelter in Tallahassee, Florida, called the Haven of Rest. “How much protection could the marshals provide a guy at a homeless shelter?” Bill Keefer asked. At the Haven of Rest, Scott Thorson found religion. And, instead of striving for invisibility, he shared his life story in front of church congregations. He says that he became a popular evangelizer, even appearing on a Pat Robertson TV show. “He would share his testimony about his life with Liberace,” said Danny Heaberlin, who ran Haven of Rest at the time. Scott Thorson says an east coast mafia don gave him assurances that he needn’t worry about Eddie Nash. True or not, Scott Thorson was unable to stay on the side of the angels for long. After three years at the Haven of Rest, he says, he started using d**gs again, and in 1991, was shot in a room at a Howard Johnson hotel in Jacksonville. Local reports described the crime as a robbery committed by a crack dealer. While he was recovering, a life-changing event occurred: a woman from Maine named Georgianna Morrill came to visit. Scott Thorson would later claim she had seen him on TV, spreading the gospel, but that is not how Georgianna Morrill remembers it. “I read Behind the Candelabra, and I saw the photo on the back of the book and I heard the Lord tell me to pray for this g*y,” she said, speaking from her apartment in South Portland, Maine. Georgianna Morrill found Scott Thorson through a Pentecostal friend and soon after the two met, she invited him to live with her in a tiny two-storey red house in Falmouth, Maine. Scott Thorson accepted. He stayed for the next 12 years. It was the second time that he found refuge in someone else’s life, but Falmouth was a long way from Vegas, and Georgianna Morrill was no Liberace. There were periods of domestic calm, with Scott Thorson cleaning up around the house and collecting disability payments that he was eligible for after the shooting. But Georgianna Morrill wanted to get married, despite all the evidence that the match was a terrible idea. The couple had s** once, she recalls. “That was enough,” she said with a giggle. He also drank a lot, and when he did he would sometimes “get stupid”, in Georgianna Morrill’s words, prompting her to call the police. Still, she held out hope that one day he would propose. And one day, he did, but with a ring with a pearl on top that she somehow knew he had purchased with a stolen credit card. “I said to him, <<I’m looking for a diamond ring and one that you paid for yourself>>,” she said, laughing. Georgianna Morrill speaks with a note of nostalgia about those strife-ridden years. It’s a note you won’t hear when you discuss the subject with Scott Thorson. “Horrible!” he said of his Maine phase. Scott Thorson moved to Palm Springs, where he would be arrested a handful of times for stealing groceries and drug possession, among many other charges. Early in this era, he met Tony Pelicone. “I recently learned that he came by our house to meet someone I was dating,” Tony Pelicone said. Initially, Tony Pelicone was thrilled to meet Liberace’s ex, and he introduced Scott Thorson to his mother and stepfather, Oliver Mading. Oliver Mading, a businessman with a background in packaged foods, says he negotiated the Behind the Candelabra movie deal with the producer Jerry Weintraub while Scott Thorson was in prison on d**g charges. After his release, Scott Thorson spent his cut of the movie earnings – just under $100,000 – in about two months, mostly on cars and jewellery. “We always knew Jess without money,” Oliver Mading said, referring to Scott Thorson by his assumed name. Scott Thorson says he’s now penniless because of outlays for cancer treatment. The truth is almost beside the point. An assortment of siblings and half-siblings want nothing to do with him, Oliver Mading says. His only real assets today are the intangibles that Liberace bequeathed him, most notably, a peculiar place in showbiz history as the kid that Liberace once adored and tried to remake in his image. “There’s always been a love-hate relationship,” Scott Thorson said when asked to describe his feelings about Liberace today. Their years together scarred him, he says, and partly explain the troubles that followed. But those years were also the happiest of his life. So although he removed the chin implant, he also had a tribute to Liberace tattooed on his forearm. He rolls up the sleeve of a grey thermal undershirt to reveal an inky cluster of curlicued letters and symbols. In the middle is Liberace’s name, surrounded by floating musical notes, plus the years that Liberace lived and a yellow rose. “His favourite flower,” Scott Thorson said matter-of-factly, rolling his sleeve back down. Steven Soderbergh’s new HBO movie Behind the Candelabra stars Michael Douglas as Liberace, and Matt Damon as Scott Thorson, whose memoir Behind the Candelabra: My Life With Liberace is the film’s source material. The film suggests a focus on Scott Thorson, not Liberace. Scott Thorson was a 16-year-old trainee veterinarian when he met Liberace. One of Liberace’s pet dogs was suffering from an eye infection, and Scott Thorson was called out to attend. Scott Thorson had been installed as live-in houseboy and not only commanded the Liberace estate by day, but featured nightly in Liberace’s Vegas stage act, driving the star on stage in a rhinestone encrusted limousine, tidying the train of Liberace’s fur gown, and being introduced to the audience by name. Scott Thorson and Liberace lived together for five years, a period which demands a new word for “decadence”. When Scott Thorson said he loved Liberace’s gold-plated Rolls Royce, for example, Liberace wrapped the car in an enormous red bow and gave it to him, and Thorson was never seen without his ghastly gold-plated Zippo lighter, another gift from Lee, on a gold chain around his neck. 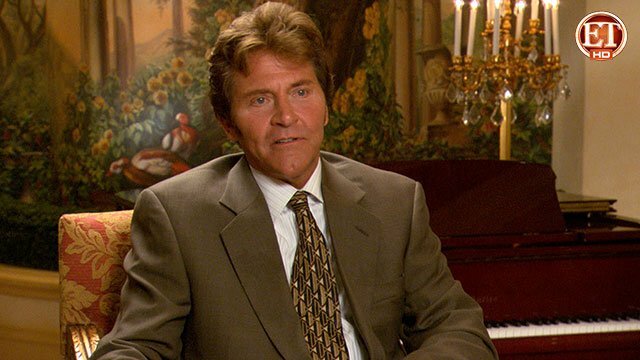 Scott Thorson claims he had plastic surgery to look more like Liberace, including a nose job and a chin implant. In a 2002 interview with Larry King, Scott Thorson said that after he put on weight during a trip with Liberace to Paris, Liberace introduced him to Priscilla Presley’s plastic surgeon. Scott Thorson said that Liberace accompanied him to his first consultation, instructing the surgeon to “make him look like my son”. But, the operations weren’t satisfactory, and Scott Thorson later had the chin implant removed. Apparently, Liberace and his plastic surgeon drank bottles of vodka together before general anaesthetic was administered and cosmetic procedures were carried out at Liberace’s home. Robert Goulet, Charo, Phyllis Diller and Debbie Reynolds were routine houseguests. While Scott Thorson confessed to a daily diet of “co***ne, quaaludes, Biphetamine, demerol”, Lee only drank, and snorted amyl nitrate like a demon. In 1982, after they’d broken up, Scott Thorson’s lawyers launched a $100 million palimony lawsuit. They finally settled in 1986 for $95,000, two dogs (including the one that originally had the infected eye) and the gold Rolls Royce. It was a smaller settlement than what the London tabloid the Daily Mirror demanded in 1987 once it was revealed that Liberace’s sudden weight loss was not in fact due to what his people had told everyone was the result of a watermelon diet – a refund of the half a million pounds it had been forced to pay him 30 years earlier when he sued them for implying he was homos***al without any proof when one of their journalists said this about him: “They say that this deadly, winking, sniggering, snuggling, chromium-plated, scent-impregnated, luminous, quivering, giggling, fruit-flavored, mincing, ice-covered heap of mother love has had the biggest reception and impact on London since Charlie Chaplin arrived at the same station, Waterloo, on September 12,1921. “This appalling man – and I use the word appalling in no other than its true sense of terrifying – has hit this country in a way that is as violent as Churchill receiving the cheers on V-E Day. “He reeks with emetic language that can only make grown men long for a quiet corner, an aspidistra, a handkerchief, and the old heave-ho. Without doubt, he is the biggest sentimental vomit of all time. Slobbering over his mother, winking at his brother, and counting the cash at every second, this superb piece of calculating candy-floss has an answer for every situation. But other reports are that when Liberace was on his deathbed, Scott Thorson was there, at Liberace’s request. After Liberace died, Scott Thorson stated that the conflicts between he and Lee had been exaggerated, and that it was his lawyers who were out for the money and he personally was primarily concerned about who was going to take care of the dogs. Then, allegedly, Scott Thorson had an affair with Michael Jackson. All that would be enough adventure for most people and it covers the action in Behind the Candelabra it’s just the beginning of Scott Thorson’s story. The Wonderland murders, otherwise known as the Lauren Canyon killings, occurred on the night of 1 July 1981, while Scott Thorson was still living with Liberace. A few days later, John Holmes broke into the home of Eddie Nash, owner of West Hollywood clubs such as the Kit Kat and the Starwood. John Holmes was casing the joint for the Wonderland gang, who lived at 8763 Wonderland Avenue and traded drugs. The gang broke in the next day, tying up Eddie Nash and his bodyguard and stealing a bunch of stuff. Later, Scott Thorson was over at Eddie Nash’s house picking up some deals when right in front of his eyes, Nash’s heavies dragged John Holmes in and knocked him around with knuckle dusters until he coughed up the address of the Wonderland gang, who were all soon shot dead. Scott Thorson agreed to testify against Eddie Nash, on the proviso he go straight into witness protection. After several years in Alaska, Scott Thorson was transferred to Jacksonville, Florida and exited from the witness protection program due to his ongoing use of dr**s. According to his memoirs, he was watching a Pat Boone documentary on TV one night when d**g dealers broke into his motel room and shot him five times. Scott Thorson insists he had no prior dealings with his assailants and that the attack was not ordered by Eddie Nash who, incidentally, now owns the gold Rolls Royce after Thorson exchanged it for co***ne. In 2008 Scott Thorson was sentenced to four years in prison on d**g and burglary offences and now lives with his wife in New England. Former Korean model Hang Mioku, a plastic surgery addict, injected cooking oil into her face when doctors refused to give her any more silicone. Hang Mioku has been left permanently disfigured following the DIY beauty treatment. After injecting an entire bottle of black market silicone into her face, Hang Mioku resorted to using cooking oil that left her face severely swollen and scarred. Her plights was featured on Korean television and viewers donated thousands of dollars to pay for corrective surgery. During the first of 10 operations, surgeons removed 60 g of silicone, oil and other foreign substances from her face and 200 g from her neck. However, Hang Mioku is still disfigured and she said she wishes she could have her old face back. Hang Mioku had her first procedure aged 28 and then moved to Japan where she had repeated treatments. She quickly became obsessed with having smoother and softer skin. Doctors eventually refused to carry out any more work on her after her face became noticeably enlarged. However, Hang Mioku managed to get hold of a bottle of silicone and a syringe to self-inject but when that ran out she resorted to use cooking oil. Her face was so altered that her own parents did not recognize her and local children also used to call her “standing fan” because her face was so large compared to her small body. Numerous operations paid for by donations have managed to reduce the size of Hang Mioku’s face and neck but she is still significantly disfigured. Recently the former model was working in a recycled clothes shop, called The Beautiful Shop, and receiving handouts from the state. 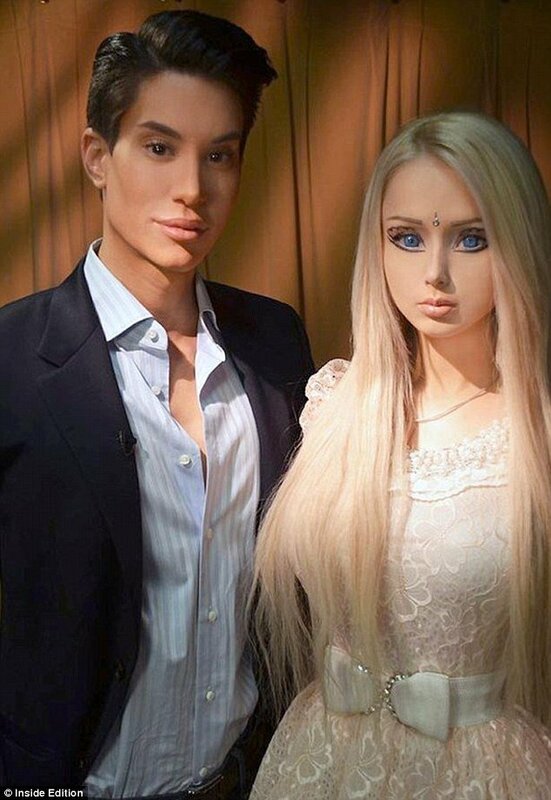 Real-life Barbie and Ken dolls, Valeria Lukyanova and Justin Jedlica, met for the first time, but it wasn’t love at first sight. Valeria Lukyanova, 23, who sports long peroxide blonde hair, a miniscule waist and large bust, flew from her home town in the Ukraine to New York to meet silicone-pumped Justin Jedlica, 32, for an upcoming episode of Inside Edition. According to The Sun, the pair “hated the sight of each other” and photographs show them posing awkwardly side-by-side. Justin Jedlica shot to fame last year when it emerged that he had spent $100,000 on body sculpting procedures. This year he went under the knife for the 100th time. “I’ve always been into plastic surgery because it’s an extension of me being creative,” Justin Jedlica said during an interview on The Doctors television show. Among his surgeries are five rhinoplasties, a cranial brow bone shape and augmentations to his cheeks, lips, buttocks and chin. Justin Jedlica turned to plastic surgery when he was 18-years-old, beginning the costly and dangerous habit with a nose job. Valeria Lukyanova hit the press last fall after she posted a series of homemade videos on YouTube, which revealed her doll-like proportions. To enhance her Barbie appearance, Valeria Lukyanova wears blue contact lenses over her naturally green eyes. Valeria Lukyanova admits that she has had breast implants, but insists the rest of her body is completely natural and slender due to daily gym workouts. Make-up and skimpy outfits complete her look. In a previous interview with V Magazine she said that in the in mornings she likes to work on her face and get a massage and then spends the rest of her time on the internet. Meditation is also a one of her favorite pastimes and she claimed that her “real job” is “a teacher at the School of Out-Of-Body Travel” – an institution which reportedly teaches students how to leave their physical body and travel in the spiritual realm. Back on the subject of being a living doll, Valeria Lukyanova told Inside Edition: “Barbie is ideal woman” adding that she had been fascinated with the Mattel character since she was five. Justin Jedlica and Valeria Lukyanova had never before their recent television appearance. But they knew of each other. Last November Justin Jedlica said that he did find Valeria Lukyanova beautiful but he told The Huffington Post: “It appears to me that much of her look is added makeup, fake hair and <<slimming>> corsets. Valeria Lukyanova hit back, telling The Sun: “Justin said bad things about me but he had more than 90 operations, while I had only one. “I am not hiding that I’ve had plastic surgery. I had breast implants because I want to be perfect. A shocking video shows a grotesque bulge in a woman’s buttock apparently caused when her botched silicone implant “flipped inside out”. Instead giving her a smooth, plump appearance, the implant has popped out and is left protruding in an ugly disc shape at the back of her cheek. The video has been “liked” by 278 people on Facebook and shared nearly 20,000 times. It is difficult to establish whether the video is genuine and no details are known about which clinic the woman went to or exactly what type of procedure she had. But BAAPS Member Adrian Richards, a consultant plastic surgeon at Aurora Clinics in the UK, believes the clip is authentic. He said the problem occurs when the implant is not secured firmly enough in a “pocket” the surgeon creates either between the buttock and the pelvic bone or on top of the gluteus maximus. “It is a complication which is relatively common following buttock implants. It shouldn’t really happen because the pocket should be snug so the implant stays where it is. He said it wouldn’t be painful, but would likely need to be removed or the pocket closed up to stop it shifting around. Buttock implants are popular in South America, where plump bottoms are regarded as sexually desirable. In recent years, plastic surgery experts have been warning women not to have operations in unapproved clinics after a string of deaths and dodgy practices. In April last year, a 42-year-old mother-of-three died after buttock implant surgery at a backstreet Las Vegas clinic. Elena Caro’s family begged her not to have the operation, saying she was beautiful as she was, but she went ahead with the surgery. She was found crying in agony and begging for help after an unlicensed Colombian doctor allegedly dumped her by the side of the road when the procedure went wrong and she died in hospital a short time later. In December 2009, a former Miss Argentina who was obsessed with maintaining her youthful looks died following surgery to make her buttocks firmer. Solange Magnano, 38, was rushed to hospital with severe breathing problems after the cosmetic operation. She died from a blocked lung artery after spending three days in a critical condition in intensive care. Atlanta woman Kimberly Smedley was jailed for three years in July after injecting customers’ buttocks with commercial silicone in hotel rooms and using glue and cotton balls to prevent the substance from leaking out. Federal prosecutors believe Smedley made at least $1.3 million while operating her illegal practice out of hotel rooms in Baltimore, Washington, Detroit, Philadelphia and New York. In cases where silicone jabs are used, the procedure can cause a blood clot to the lungs known as a pulmonary embolism. To insert the implant, an incision is usually made where the cheek meets the back of the thigh or in the buttock crease where the scars are less noticeable. The surgeon then creates a pocket large enough to insert the silicone either under the gluteus maximus muscle or on top of it. Sometimes fat is taken by liposuction from another area of the body to enhance the shape of the buttocks. The surgeon will then make sure both buttocks are symmetrical before stitching up the wounds. But if the pocket is made too big, the implant can slip out. The procedure is normally performed under general anaesthetic. An alternative method involves injecting fat into the buttocks. Women are ironing out wrinkles and rejuvenating their skin with injections of their own blood. 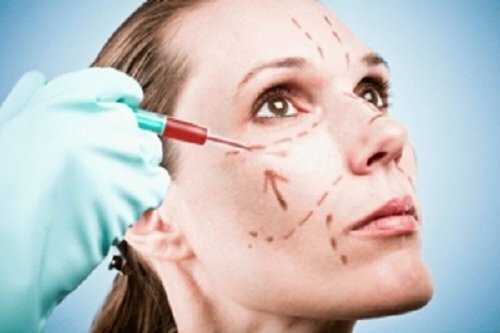 The procedure – dubbed the “vampire facelift” – involves taking a blood sample from the patient’s arm and putting it through a machine which separates out the platelets. These are tiny fragments of cells which circulate in the blood and are filled with hormones and proteins. They are responsible for making the blood clot when we get a cut or bruise. But also at high concentrations they are thought to stimulate the skin to repair itself. These platelets are then injected into the face. The procedure has had impressive results in America and is now being offered by clinics in the UK. Taimur Shoaib, a consultant plastic surgeon who offers the treatment in three £400 ($625) sessions at his clinic La Belle Forme in Edinburgh, has performed the procedure on several hundred men and women since launching it earlier this year. At Bassim Matti’s clinic in Harley Street, 28 patients have had the treatment paying £1,500 ($2,350) for a series of injections covering the face. Reza Nassab, a registrar in plastic surgery at the clinic, said after six months 60% of the patients were still very satisfied with the results. He said 40% did not see much of an effect, but staff were hoping to improve the results by changing the concentration of the platelets. Platelet transfusions have long been used in reconstructive surgery, but this is their first use as a cosmetic treatment. In experiments on rats injected with platelets, scientists found high concentrations increased the number of collagen fibres in their skin and improved skin quality. Reza Nassab, who presented the results at the British Association of Aesthetic Plastic Surgeons scientific meeting in London, said he believed it worked the same way in humans. Andie MacDowell celebrated her 54th birthday last month, but she certainly looks younger than her years. In fact, Andie MacDowell seems to be getting younger every day. And now it has been suggested that she may be attempting to turn back the clock – just like in her hit movie Groundhog Day. Dr. Anthony Youn suggested Andie MacDowell may have had fillers in her face to reduce the appearance of wrinkles. Andie MacDowell has not admitted to plastic surgery, but said when quizzed by Hello! magazine back in November: “I don’t judge anyone for what they do. Andie MacDowell was in Cannes for the International Film Festival last week. And her fresh-faced look was only further enhanced when she posed up with her 17-year-old daughter Sarah on the red carpet at the event’s closing ceremony on Sunday. Andie MacDowell wore a pale Giorgio Armani strapless, draped gown, while her daughter turned heads in a stunning Elie Saab design. Sarah is Andie MacDowell’s youngest child with her first husband Paul Qualley; the former couple also have a son Justin, born in 1986, and a 22-year-old daughter Rainey, who was named as Miss Golden Globe 2012. Andie MacDowell is currently starring in comedy Jane by Design, in which she plays a world-famous fashion designer.